Absolute Carnage is about to run rampant throughout the Marvel Universe in the pages of Venom, Spider-Man and issues of Absolute Carnage. Venom and Carnage prepare to collide in the publisher's big summer event book in an announcement made by Marvel at C2E2 on Friday. Marvel revealed that writer Donny Cates and artist Ryan Stegman have been building toward with their ongoing Venom series for some time. Now, things are actually official, and Carnage is on his way. While the plot threads of "Absolute Carnage" go back a ways in the recent runs of Venom, the first real taste of the event will arrive on Free Comic Book Day, May 5th. Things will kick off in Spider-Man/Venom #1, which will be one of the free offerings from Marvel Comics. Following that debut, the event itself will arrive in full force in August. Cates will be writing the official, named series, with Stegman providing the art, and Frank Martin serving as colorist. Marvel made the announcement with a video at C2E2, where Cates introduces the new series and teases what fans will be able to expect when Venom and Carnage collide. 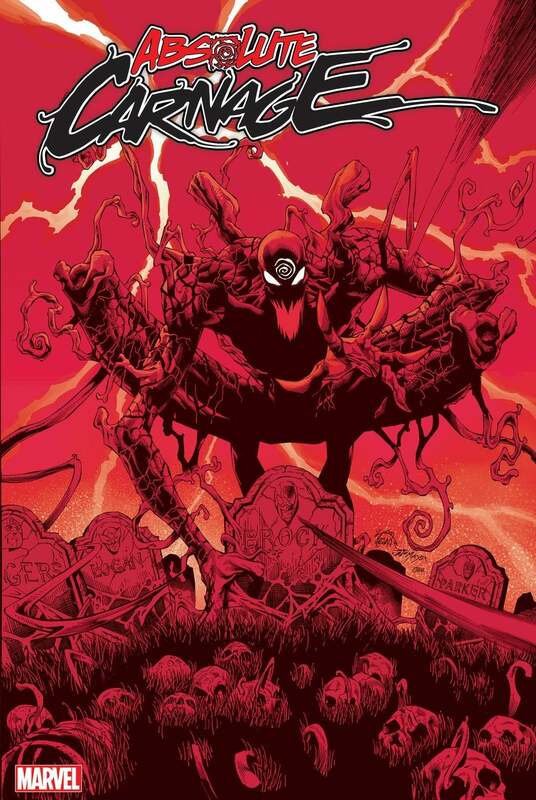 The showdown between Carnage and Venom has been teased throughout Cates and Stegman's current run of Venom comics. The introduction of the Symbiote god Knull has played a massive part in the trajectories of both characters, and a couple of one-shots and minis have revealed the return of Cletus Kasady, who has become a god-like figure himself. Are you looking forward to the "Absolute Carnage" event? Let us know in the comments!